Some say each pregnancy made a woman aged by 10 years and that's very true. The lack of rest, high stress and pain endured followed by our physical body changes means we need to put in more effort to look normal. Especially if you look at mothers during confinement, you would have guessed I am my husband's mother, particularly infuriating when he has such a baby face. That is why we women cannot afford to be lazy. 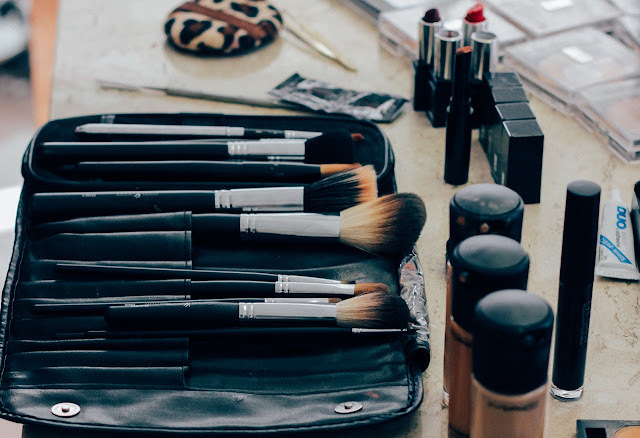 Make-up, cosmetics, personal grooming, fashion, we cannot live without them. When I was in my 20s, I thought I look best without make-up. Going all natural, looking sporty and real instead of a thick layer of powder that will also cause skin irritation from all the sweat and dirt. I never used to like wearing make-up until I feel I have to during my work days. Those days when I can go without light make-up are gone. Now in my 30s, I know I look better with some slight touch up. Of course my make-up skills have improved tremendously. I used to attend those make-up lessons with friends and gained a few tricks. Those were the times where Bobbi Brown, Mac, Clinique are still the few players in the industry. These European brands were big at that time but I always thought their thick make-up looks too fake and unnatural. For performances and air con places, those will do great but not for every day wear. Thick make-up is definitely not suitable for Singapore's humid climate. With Korean wave and K-pop, not only are there Korean food everywhere but also Korean cosmetics. Not to forget, they are really much more affordable than the European brands. If you have been to Korea, those cosmetics become dirt cheap so you can understand why foreigners buy them in basket loads like me. Additionally for korean brands, they are more suitable for our Asian skin tone. These are some cosmetics that I love that I would like to recommend you to take a look. No, they are not a sponsored post and no, they are not for everyone. I have oily skin so it's best if you ask the staff for the appropriate types to use. I believe the brands may not matter that much as the function of the beauty products are similar, so price will be a determining factor. As usual, don't blindly follow what I or other bloggers use. Here are 5 items I cannot do without for now. My simple daily make-up regime consists of concealing any acne or dark spots, followed by a concealment of eye circles and very importantly, my eye liner! This makes my eyes look bigger and more defined, definitely also create a more energetic look. 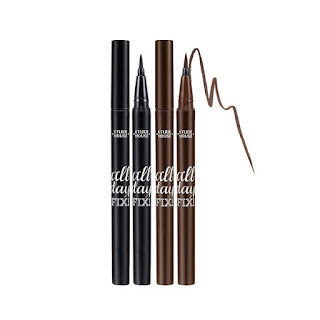 If you want to start putting on make-up, eye liner should be your first step. 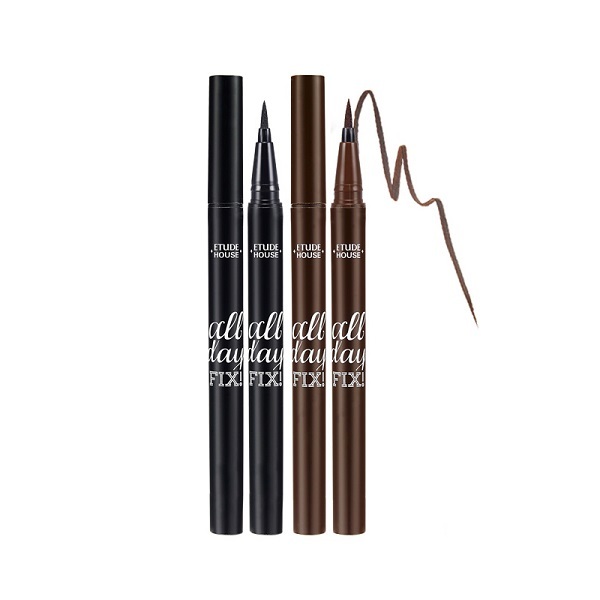 This All-day eye liner does not wear off easily and is still quite affordable. I have tried many brands and finally settled on this. 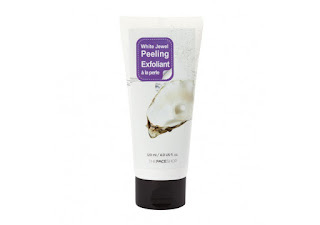 Exfoliating our faces are necessary, to prevent acne and ensure our skin is smooth and radiant. Especially when we reach 30s, our exfoliating process slows down, resulting in duller complexion and leaving behind more skin pigmentation problems. This scrub is great to remove the dead skin on our faces with the mini particles but do take note, don't over-scrub for more than twice a week. Some day, you will be so lazy to apply any night time products or even do a facial mask. That is why this leave-on night mask is so perfect. Just apply it and go to sleep and wash off in the morning. So simple, so good on lazy nights. 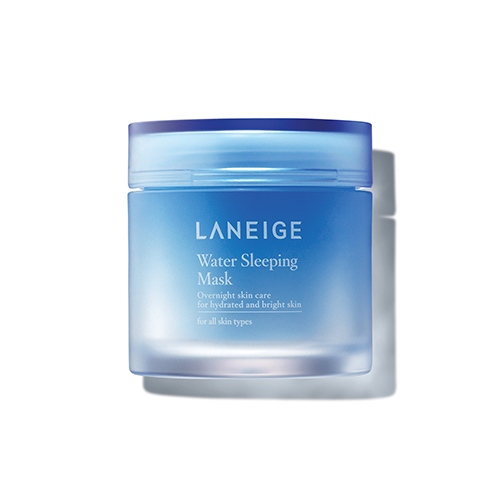 I wake up with a moisturised skin and smaller pores, awesome! I hate a layer of oil on my face, particularly when I am out whole day. 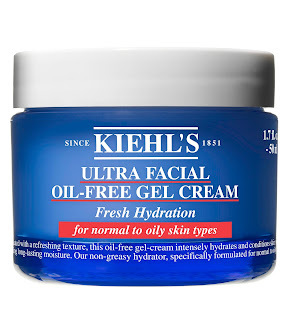 Thus, I use a lot of oil-free products and this moisturiser is one of them. 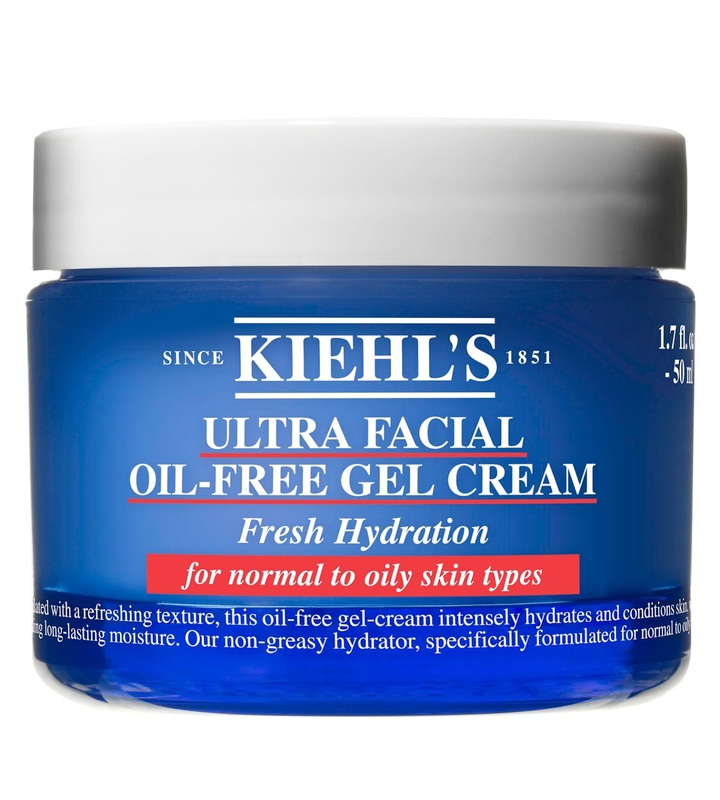 I particularly like that it can moisturise my face, without making it oily. Etude house also has the Moistfull Collagen range which is a cheaper alternative. Watch any beauty shows and they will always say that sunblock is the most important. The UV rays age our skin and brings out a lot of facial issues like freckles, dark spots and acne. That is why it is so important to put on sunblock every day. Some dermatologist even said we should put on at night because computer screens also emit UV rays, that's a bit too much I think. I just want to encourage women and mothers to continue to have some light make-up on and maintain their beauty regime because looks are very important, not just to us but also to our partners. Once we become lazy, we might also lose the motivation to control our weight, tidy our hair and buy nice dresses. We need to be ever-conscious so as to retain the physical attraction of our partners, and also to maintain our self-esteem and confidence. It's so much more than just looks.